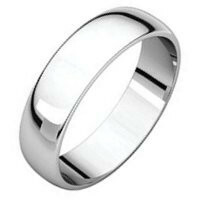 At WeddingBands, you can buy wedding bands, anniversary rings and eternity bands that are artfully crafted to the finest quality, with precious metal or combination of metals of your choice. We manufacture rings in platinum, palladium, silver, titanium, 14K or 18K (white, yellow or rose) gold or a combination of metals. Our rings are all solid 14K, 18K, palladium, platinum and silver. 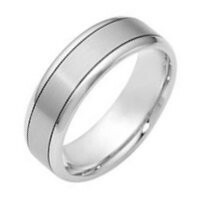 Browse the finest platinum, gold, titanium and palladium bands for men. Weddingbands displays over 7000 unique men's bands. 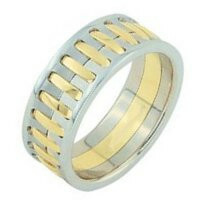 You will find plain bands manufactured in gold, platinum, palladium and titanium. 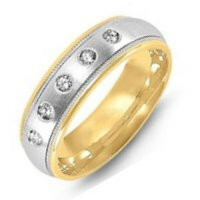 Browse the finest women's wedding rings made with precious metals platinum, gold, and palladium. The wedding rings, anniversary rings and eternity bands for women are made using precious metals and finest cut diamonds for maximum brilliancy and beauty. 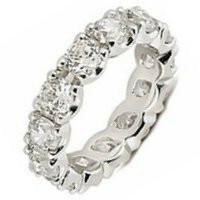 See our collection of scintillating diamond engagement rings, eternity bands for your anniversary or occasion. 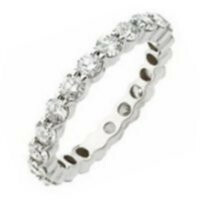 From the simplest eternity band to unique Verona Lace or Royal Duet eternity bands all the eternity rings are made using latest CNC machines and finest cut diamonds for maximum brilliancy. Desirable anniversary rings mark every perfect moment together over the years. The Verona Lace and Royal Duet Anniversary Bands and Eternity Rings succeed the impossible in manufacturing using state of art CNC technology and AutoCAD designs. Our diamonds are all calibrated to give the maximum brilliancy and fire. View premium carved, roped, Celtic and hammered classic style wedding rings. 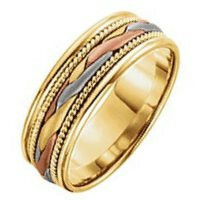 The classic bands infuse traditional motifs and modern day styling. Hand-selected diamonds, graded at VS in clarity and G/H in color, are used in all our diamond wedding rings. Look through unique center rotating stunning wedding bands. 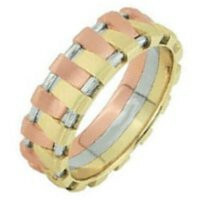 Select our perfectly hand braided and hand woven wedding rings to represent your love and commitment. Look through fashionable up-to-date unique wedding rings. Shop our selection of modern bands with panache to fit your own style. 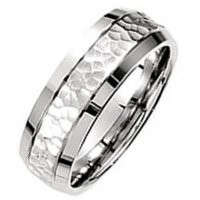 Great selection of comfortfit wedding bands, anniversary rings and eternity bands. 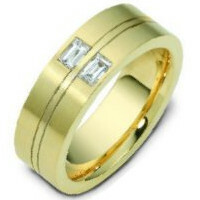 Great selection of 14K and 18K gold wedding bands, anniversary rings and eternity bands. 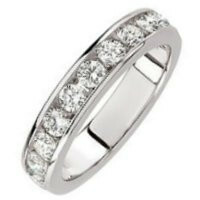 Anniversary Rings and Eternity Bands The diamonds used in our wedding rings, anniversary rings and eternity bands are minimum VS in clarity and G-H in color. Each diamond is cut to the maximum reflection of light and brilliance. Our platinum anniversary, eternity bands, and rings are made solid, with 950-platinum (95% platinum and 5% iridium or ruthenium) our palladium are 950-palladium. 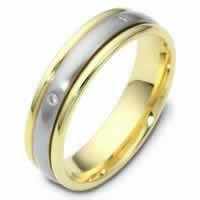 We give you an opportunity to buy online in the USA made exclusively out of precious metals designed to last a lifetime. All our rings have lifetime warranty against manufacturing and workmanship defects. Fabrication Hand Fabrication - WeddingBands company utilizes the highest quality of precious metals and diamonds to form the basis of all of our men and women wedding rings. Once the basic frame is complete, then WeddingBands.com blends the intricate hand fashioned components of gold and platinum twists, wires, and braids of graceful center patterns that augment and compliment each design. 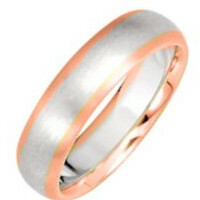 WeddingBands.com is a place to buy wedding rings for the happiest day of your life! We utilize the creation of the artisans using CAD-CAM systems and latest high precision CNC machines to manufacture and create unique wedding band both for men and women. we are in an age of physic defying wedding jewelry designs. Part of that progress means more defined and finished lines in wedding ring designs. Look for more elegant carving and etchings throughout wedding rings. It is where science meets art as deco designs with smooth lines make way for evolved ivy and floral etchings in the rings. Simply technology and science meeting with art makes everybody's dream comes alive. No purchase is complete unless the customer is 100% satisfied.